Well is was super cold outside this weekend, so I didn’t get as much done as I was hoping for. When my feet start to ache from the cold I tend not work as much. The important part is that I was able to get to the next step on these mills. As I mentioned in the previous posts, I made these from a few pieces of wood glued together. 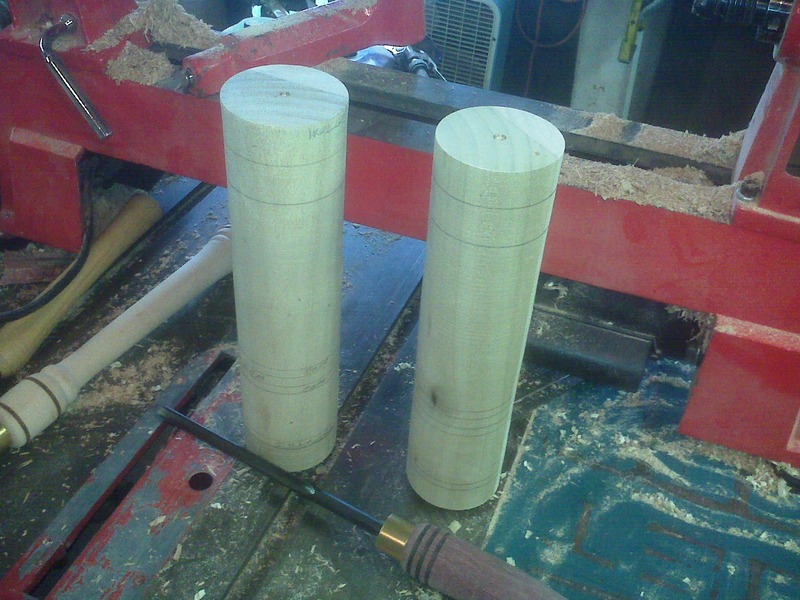 I then cut the salt/pepper mill blanks about an inch longer then I need, and mount them to the lathe. 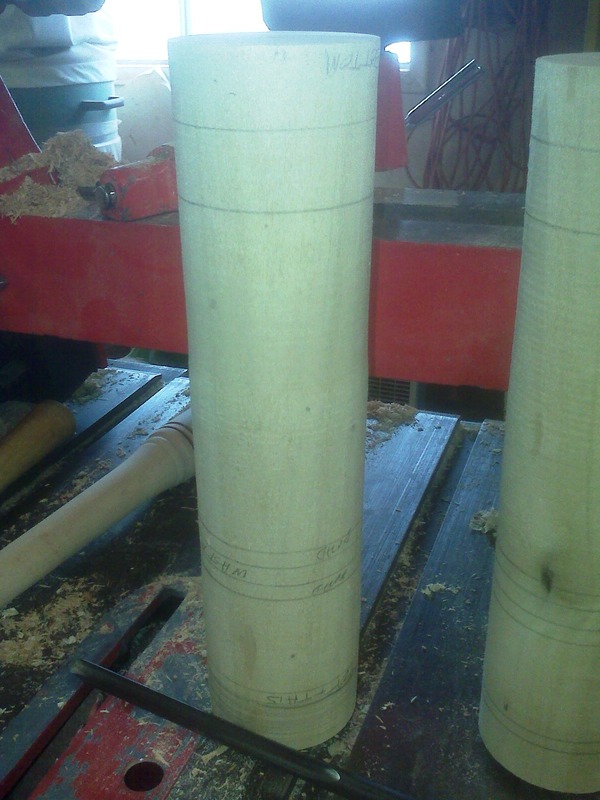 Once on the lathe I turn them until they are a round cylinder and mark out where the top and the bottom are as well as where I expect transitions in the shape to be. Wow! This is incredible to see these being created Derek. Amazing. I think the 3D mock up is an awesome idea too – and very realistic. I can imagine it can give such a great sense of the end creation for furniture pieces.